BUT, not everyone’s as tech-confident as we are and with AI dominating recent headlines, there’s a lot of misplaced speculation. This post is us doing our part to cut through the hype and help business folks of all types (but mostly, the non-techies) understand what AI and machine learning are really all about. So for those of you who’d like a layman’s look in the world of AI, read on. You’re about to learn everything you need to know about machine learning in business intelligence technology (plus quite a bit about why it makes great TV). In the hit TV show, Westworld, Anthony Hopkins plays Dr. Ford or simply, “Ford” – a power-hungry scientist with a brilliant mind and huge ego. Ford is the chief engineer behind Westworld, a Wild West themed amusement park inhabited by incredibly lifelike robots, called “hosts”. For the right price, thrill-seeking tourists can visit Westworld and indulge their darkest fantasies at the hosts’ expense. These machines (or hosts) are smart. Damn smart. And one day, they might even take over. For any of you life-imitates-art types, don’t worry. I’m not predicting a species war against AI robots, but in the real world, machine learning can actually conquer your most challenging business tasks and turn them into huge revenue opportunities. And if there’s one thing Westworld makes clear from the very first episode, it’s that machine learning is happening, with or without you. Think about the last time you saw an ad for that conference you wanted to attend. It may have crept into the sidebar of your favorite daily news site. Or maybe you scrolled past it in your newsfeed as you were catching up with friends. Wherever you go online, the link will be right there for you when you’re ready to register. In tech talk, this kind of personalization is called the Internet of Me (or IoM). It’s companies like Google and Facebook using advanced algorithms to predict and deliver the exact solutions YOU want based on your unique data history. Add in the Internet of Things (or IoT), and you get personalized messages sent to and from your car, your watch or even the egg tray in your fridge (Want French toast on Sunday morning? Time to top up!). Of course, we’re still a far cry from the level of artificial intelligence seen in Westworld, but it’s already a part of our lives and one that’s growing fast. What’s Next for Machine Learning and Business Intelligence? Sounds great. But what does this actually look like in today’s business world? Every time you onboard a new client, you automatically predict their needs based on custom parameters like size, expansion and vertical. You send hyper-targeted emails bringing them content they didn’t even know they needed. Your offer is the first they see when they’re ready to act. Or, say you’re an online retailer. You use machine learning to supercharge your inventory management, syncing it with your current system to reduce costs and increase sales by pulling and promoting the right products at the right time. It’s e-Commerce with a big, BIG brain. Imagine an efficient approach to product R&D. Instead of wasting countless hours in team meetings, smart systems like Sisense Pulse seamlessly bridge the gap between your CRM and project tracking software, bringing you profit-driving insights in real-time. For healthcare leaders, machine learning can give your hospital balance sheet a major boost. You can create a Smart Workflow that automatically sends a targeted survey to physicians that exceed an average patient length of stay, helping them gather the information needed to improve cost-efficiency. No matter what business you’re in, machine learning gives us actionable insights we just can’t get anywhere else. Let’s bypass the tech jargon and take it back to our Westworld example. Think of the plotlines for Maeve, Dolores and (SPOILER ALERT!) Bernard. The more the hosts remember, the more powerful they become. It’s the same with machine learning. Every time you enter new data, your business intelligence system expands its memory, learning from past experiences and becoming smarter, faster and way more powerful in the process. Take query recycling, for example. If one user asks “What was the total amount paid to supplier A in 2016?” and another asks, “How much more did we save with supplier A vs. supplier B?”, the second user gets her answer faster and can take immediate action to negotiate a better contract, instead of wasting time and money waiting days for a manual report. In Westworld, it was Ford’s “reveries” that allowed the machines to access greater insights. In the business world, it’s advanced data process algorithms like the Sisense In-Chip™ that give us this kind of power. In Westworld, as in the business world, anomalies are opportunities. Just as the hosts of Westworld had to deviate from their narratives before they could evolve, your business needs anomalies to grow. Problem is, if you’re like most companies with multiple departments and offices across the globe, you’ve probably got some pretty big gaps between your data sources, and those anomalies are slipping through the cracks. It feels messy, disorganized and all a bit out of control. And that’s where solid business analytics can really work its magic, streamlining your systems and saving you a ton of time and money on data prep. But not all BI systems are created equal. Know where the difference lies? You guessed it: machine learning. Most BI platforms alert you to anomalies and enable you to act immediately, but only an analytics platform with a high-powered machine learning algorithm lets you act automatically. For example, Sisense Pulse’s Smart Workflow lets you automate an alert to a 3rd party application such as Zendesk, Slack, or Zapier, triggering an immediate, intelligent response to a situation in progress. And as we Westworld fans know all too well, slow reaction can be your demise. AI is happening now and as consumers, we see it all around us. Machine learning uses aggregate knowledge from a bunch of different data sources to get smarter and faster over time. When used for BI, it can help you save money and increase profits. 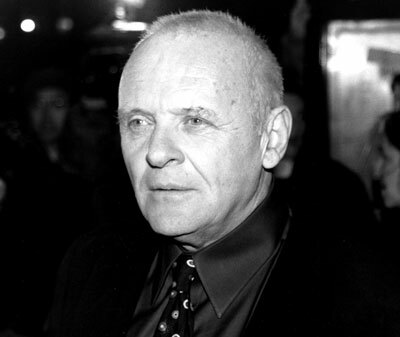 Anthony Hopkins has still got it. Now that we’ve established the parallels between Westworld and machine learning, can you imagine the show without it? Can you imagine your business without it? No suspense, no development, no climax. Just the same characters walking the same loops day in and day out. No one knows what the next season of Westworld will bring. But with machine learning, the next season of your business can be way more exciting than the last. Ready to learn more? Check out our webinar on using machine learning to automate anomaly detection and see the future in action, or read more about machine learning in business analytics.